KJM Electrical takes environmental issues very seriously. 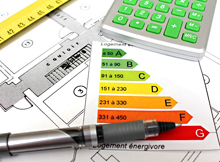 All our core services share the common objectives of efficiency and cost reduction. As part of our commitment to the environment we added our first carbon neutral vehicle to the KJM service fleet in January 2012. Renault introduced the first zero-emission 100% electric commercial van in December 2011 and KJM Electrical were quick to get on board. Read more about our new Renault Kangoo Van. This wireless device transmits information from your meter to a small portable display. You can tell at a glance the amount of electricity your household is consuming and how much it is costing you real-time. You can then monitor and adjust your usage accordingly. The KJM recommended Smart Energy Monitor is supplied and fitted by one of our engineers. £49.99 Including installation and set-up. Order yours on-line.